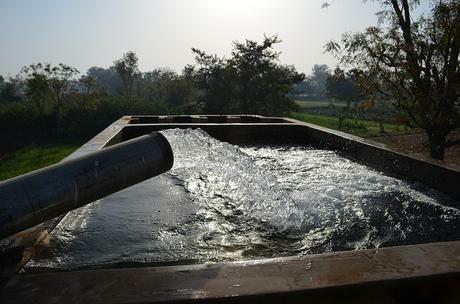 A large chunk of the industrialized world’s agricultural productivity, high level of urbanization as well as industrial creativity depends largely on the exploitation and pumping of the freshwater resources. In some parts, the water that is being made use of is known as fossil water which is the water which was deposited millions of years before now. It is usually not being replaced by any reason whatsoever which includes the absence of rainfall, or certain impermeable layers such as calcrete that is on top or heavy clay. When these water reserves reduce, there is usually nothing available for the purpose of having them replaced, with the end result being enormous populations, as well as farmlands that are not feasible in the said regions which are usually accompanied by large-scale migrations from the regions. Some regions which are quite dependent on fossil water include the Northeastern part of Africa, the American Great Plains, as well as the central southern African region. The condition pertaining to the depletion of fossil water in some area is further made compounded by the prolonged development of the underground water recharge areas in the areas where the rainfall is hitherto not enough to have the underground water replenished and even further so by usage rates which are not sustainable which further depletes the water reserves. As the underground water in the areas which have the tendency of recharge is being used at rates which can only be described as unsustainable, although one thing which occurs is known as underground water subsidence. In clear terms, what happens is that the ground tends to sink as a result of the absence of the support which was hitherto made available by the groundwater which is no longer available. In this sense, subsidence is quite notable owing to the fact that it leaves the aquifer under review at a capacity which is far less than capable to store water as a result of compaction. The Underground-water pumping permanently erodes the ability of a number of aquifers to get water stored thus leaving the overall aquifer capacity at a level which is quite lower than what was previously available and hence contributes to the fading of the region that is in question. All the issues above listed are on their own further made worse by the intrusion of saltwater in certain coastal areas as a result of excessive pumping of the groundwater resources thus leading to the vacuum effect which attracts saltwater inside the aquifers and also as a result of subsidence of the ground, sea level increase, as well as the contamination of groundwater. In a number of regions, which is mostly as a direct result of the agricultural and industrial actions which are in themselves making the most use of water? It therefore suffices to say that what we have in the modern world when we backtrack is the coming together of increased problems of issues such as: the breakdown of the ability of a number of aquifers to retain water as a result of excessive pumping due to the subsidence of the ground, depletion of fossil water, as well as saline water intrusion of the aquifers which is as a result of excessive pumping as well as rise in sea level and the contamination of groundwater as a result of agricultural and industrial activities. The excessive pumping of the freshwater which derives its origin from the aquifers as highlighted earlier is a major cause of the subsidence of the ground as well as the intrusion of saltwater in the coastal regions. What was not made known earlier is the fact that as the levels of the aquifer drops, the water quality generally drops as well as an increase in the ground salt levels as well as a rise in the levels of contaminants and grits? On another thing which is worthy of note on this basis is the fact that as the aquifers get reduced, the natural constituents of the area such as springs and the likes will inadvertently experience lowered flows or even get extinct. Linking to this, the earlier mentioned ground subsidence leads to a sinking of the land, which in turn ups the possibility of floods as well as reducing the overall capacity of such an aquifer to retain aqua. It is worthy of note for instance in some areas in Texas that ground levels have reduced by as much as 9 feet in recent times as a result of too much pumping of the groundwater. In addition to the contamination and depletion of the underground water resource of the freshwater resource is the above surface freshwater resources which include winter snowpack, larger glaciers as well as high altitude lakes which are disappearing at a rather rapid rate in a large portion of the earth. What these imply is that the long-term availability of freshwater is being negatively impacted at a rate which is much faster than what should be. Even as the glaciers melt, there would be an increase in the scarcity of water thus having an effect on billions of people.